There is nothing better than picking up a book, newspaper, or turning to a blog post, that is full of typos, spelling errors and grammatical mistakes. If you need hours of entertainment I highly recommend playing “Spot the Error”. Now I can’t claim to be an expert in all things writing, so instead I have found this great article from Mike at the Book Making blog to help. A lot is two words, not one. Believe follows the old “i-before-e except after c” rule. However, foreign, forfeit, sovereign, surfeit, caffeine, casein, codeine, either, geisha, inveigle, keister, leisure, neither, protein, seize, sheik, and Sheila do not. Bellwether has nothing to do with the weather. A “wether” is a castrated sheep or goat that wears a bell and leads a herd. The lack of cojones made it less likely that the leader of the pack would stray. Collectible is not “able.” No rule applies here, just memory. Deceive does obey the “i before e except after c” rule. So does receive, but not frequencies or science or species. Drunkenness should have a double “n” when spelled by so­ber people. Dumbbell has a double “b,” you dummy (not “dumby”). Epic is a big important book, poem, or movie. Epoch is an im­portant era. You can write an epic about an epoch. Exceed does not end with “cede.” Nothing exceeds like excess. Flier is someone who flies (not “flys”). It’s also a leaflet, or a golf ball that goes too far. Airlines frequently say “frequent flyer.” They’re frequently wrong. Flyer can be part of a proper name for transportation (“Radio Flyer,” “Flexible Flyer,” “Rocky Mount­ain Flyer”) or a sports team (“Philadelphia Fly­ers” and “Dayton Flyers”), or even sneak­­ers (“PF Flyers”). Gauge is a verb or a noun with a silent “u.” For the thickness of wire or metal, or the space between train rails, or the size of a shotgun, you can ditch the “u.” Gouge means to scoop, dig, swindle, or extort; or a tool for gouging. Guarantee does not end like “warranty” except in a proper name like Morgan Guaranty Trust. Harass has just one set of double letters. Inoculate has no double letters. Jibe (NOT Jive) means to agree. Jibe and gibe mean to taunt. Jibe also means to move a sail to change direction. Layout is a noun. Lay out is a verb. A designer will lay out a layout. Lightning is the spark in the sky, or part of the name of Lightning Source, the printer of this book. Lightening removes weight. Memento reminds you of a moment, but the first vowel is an “e” not an “o.” Don’t ask why; just remember it. Minuscule means mini, but it’s spelled more like “minus” (except when it’s being spelled by people who prefer “miniscule.”) Pick one version, and be consistent. 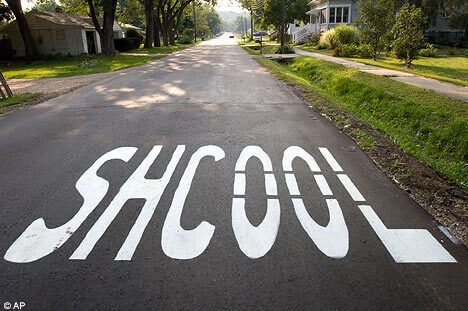 Misspell is frequently misspelled. It needs a double “s” but no hyphen. Occasionally has a double set of double consonants. Occurrence has two traps: the occurrence of double double consonants, and “ence” not “ance” at the end. Pharaoh uses the “a” twice. Plenitude is right. Plentitude is wrong, but is used a lot. Possession possesses two double letters. Principal is a school’s boss or the most important element of something. A principle is a rule or an important point. Separate has an “a” as the second vowel. Sergeant, unlike the affectionate “Sarge,” has no “a” up front, but it does have a silent “a” later on. Sleight of hand is a group of techniques magicians use to secretly manipulate objects. It’s not “slight of hand” or “slide of hand, “Sleight” comes from an Old Norse word for clev­erness, cunning, and slyness. Supersede is not spelled like “succeed” or “precede” and may be the only “sede” word we have. Until gets just one “l” even though it’s often a perfect substitute for “till.” Wilson Pickett sang, Wait Till the Midnight Hour or Wait ‘Til the Midnight Hour, depending on who transcribed the lyrics. Weird is weird because it breaks the “i before e except after c.” rule. Seize is weird, too. This, of course, ignores all the fun that can be had with the incorrect way that Americans spell words like neighbour (neighbor), centre (center) and metre (meter – in fairness the Americans do prefer to crash billions of dollars worth of scientific equipment into Mars rather than use the metric system). Thanks again to Mike at the Book Making blog. Great list! "Relevant" is one of the words I see most commonly misspelled by writers, on forums for writers. I routinely write "eachother" as one word, even though I know better. Thanks Robyn. My confusion is for separate, constantly spelling it with an 'e'. I'm also a fan of having my left hand faster than my right and typing 'teh'. https://picasaweb.google.com/lh/photo/00uRlz8gJwbqo0tw_6niEA?feat=directlinkAnd at least we don't add seven extra syllables to 'aluminum'. Or would that be 'extar' syllables? Who said I can't be a hypocrite? Lol.Another one Aussies do is gaol, or jail in American. It would be okay if Aussies didn't use both inconsistently. I blame the French, because both versions originate from their language. Ou peut-on trouver la source exacte de cet article svp ? Je vous remercie une fois de plus. bonne continuation. The link is in red, Mike’s Book Making blog. Just click and you’ll see the original. We can communicate here or there, in leisure or account.